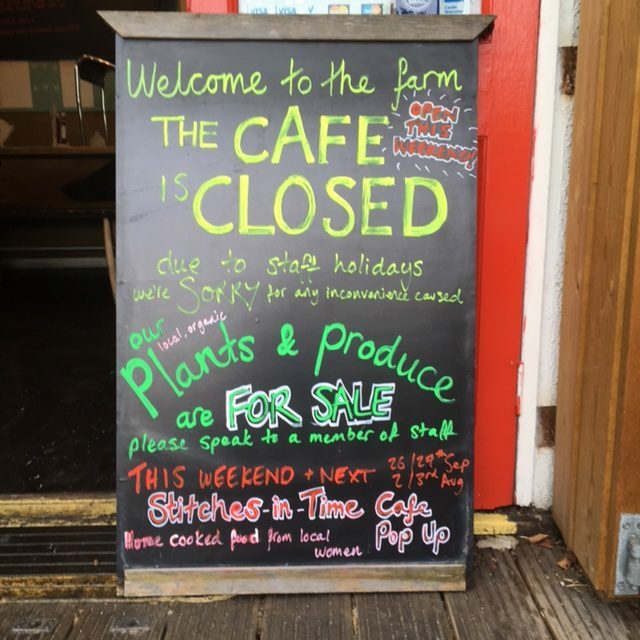 Our cafe team, Amy and Reb, are on holiday until Wednesday 6th September, so it won’t be business as usual with our regular menu and cakes in the cafe, and the cafe will be closed Monday to Friday (apologies for any inconvenience). Eggs, produce and plants will still be available to buy – please ask in the office, or speak to one of the team. 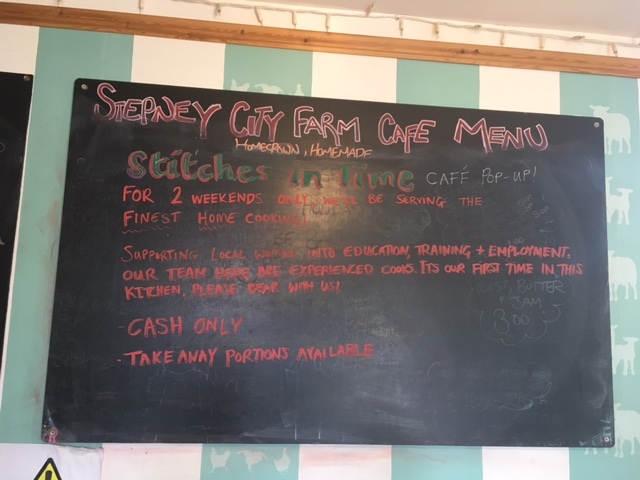 On Saturday 26th August, Sunday 27th August, Saturday 2nd September and Sunday 3rd September we are thrilled to welcome Mum’s Kitchen from Stitches in Time! They will be taking over the Cafe and serving up a home-cooked menu and some hot drinks – we’ve been told the home-brewed spiced tea is not to be missed! We’re sure you will enjoy some great food from Mum’s Kitchen – eat at the Farm, or takeaway available too. 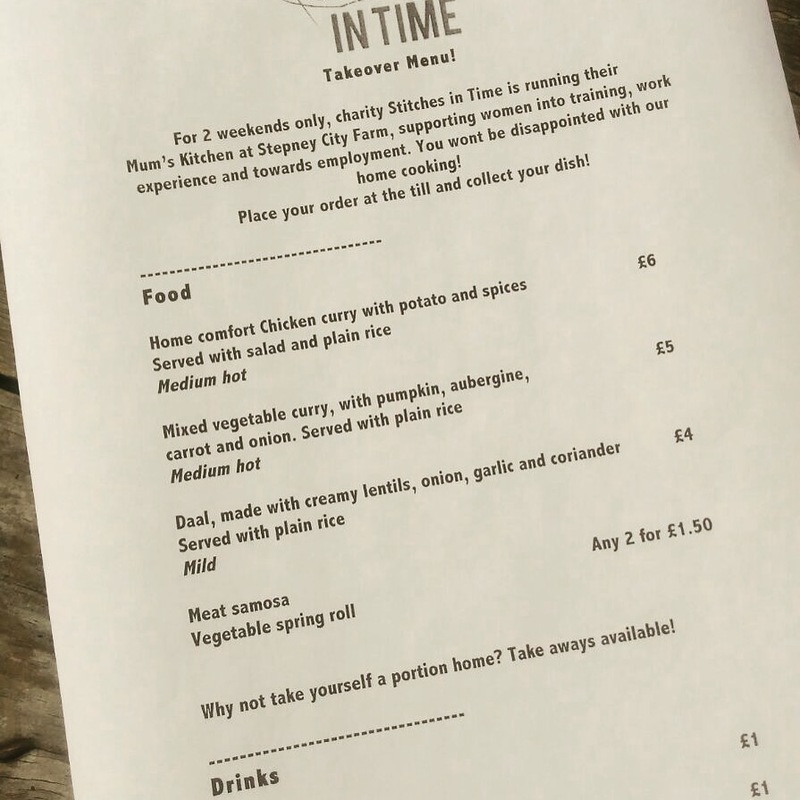 Place your order at the till, collect your dish and enjoy! Stitches in Time supports women into training, work experience and towards employment. This is their first time in our kitchen and we are excited to extend a big Stepney welcome. Please bring cash to pay.